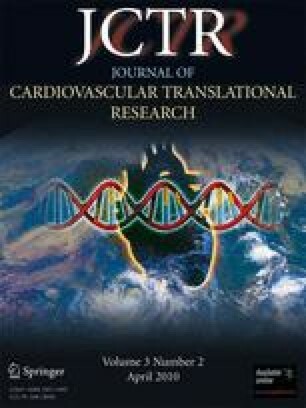 Stem cell therapy has emerged as a promising approach to improve healing of the infarcted myocardium, to treat or prevent cardiac failure, and to restore lost cardiac function. Despite initial excitement, recent clinical trials using nonhomogenous human stem cells preparations showed variable results, raising concerns about the best cell type to transplant. Selected CD133+ hematopoietic stem cells are promising candidate cells with great potential. COMPARE-acute myocardial infarction (AMI) study is a phase II, randomized, double-blind, placebo-controlled trial evaluating the safety and effectiveness of intracoronary CD133+-enriched hematopoietic bone marrow stem cells in patients with acute myocardial infarction and persistent left ventricular dysfunction. Patients who underwent successful percutaneous coronary intervention and present a persistent left ventricular ejection fraction <50% will be eligible to have bone marrow aspiration and randomized for intracoronary injection of selected CD 133+ bone marrow cells vs placebo. The primary end point is a composite of a safety and efficacy end points evaluating the change at 4 months in the coronary atherosclerotic burden progression proximal and distal to the coronary stent in the infarct related artery; and the change in global left ventricular ejection fraction at 4 months relative to baseline as measured by magnetic resonance imaging. The secondary end point will be the occurrence of a major adverse cardiac event. To date, 14 patients were successfully randomized and treated without any protocol-related complication. COMPARE-AMI trial will help identify the effect of a selected population of the bone marrow stem cells on cardiac recovery of infarcted myocardium. Dr Lemieux Bernard, Hematologist, CHUM; Dr Ouellette Caroline, Anesthesiologist, CHUM; research coordinators in cardiology Mrs Duclos Renée and Lemay Carole, technicians of the catheterization laboratory in the CHUM, technicians of the Cellular Therapy Laboratory at Maisonneuve-Rosemeont Hospital, Research Center of the CHUM (CRCHUM), Fonds de la recherche en santé du Québec, Miltenyi Biotec, and Boston Scientific in Canada. The study has been approved by Health Canada and by the IRB/Ethical committee of the research center in the CHUM.